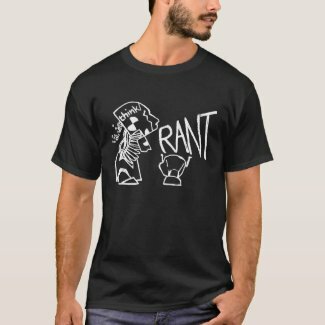 think/rant is a podcast where some liberals discuss the week's news, with a slant towards science, philosophy, religion and morality. May contain some humour. Last night I thought I'd go and check the IAIM UK website to see if they'd updated their list of benefits of infant (baby) massage and lo and behold they've removed the two claims I highlighted in my complaint to the ASA! I assume that I will soon be receiving correspondence from the ASA telling me that the case is now closed. However, I can tell you now that my work here is not finished and I'll explain why shortly. It's a shame that the IAIM had to be referred to the ASA rather than taking seriously very genuine concerns over the scientific validity of their claims. Their behaviour highlights a very real and concerning problem: many people and organisations neglect their duty to be truthful in their dealings with others. Unless there is a legal requirement, many are more than happy to make unfounded, misleading or even flat out wrong claims as long as they're supported by anecdote, loose or faulty interpretation of clinical data, cherry-picking of data or studies, or "intuition". There are a great number of professional bodies and organisations who do much valuable work. Very often, however, we see an insulated culture where misinformation spreads within the "echo chamber". What sets the good, science-based organisations from the chaff is engagement with critics and action when problems are identified. In this case my legitimate concerns were eventually acknowledged but the seriousness and urgency of them were not; truth appeared to be of low priority. If professional organisations are not willing to act then they join the ranks of quacks and charlatans such as homeopaths and reiki healers who are happy to cash in on their denial of reality. What also irks me is that only the bare minimum has been done. The two claims in my complaint were the most grevious and were easily shown to be unsupported and misleading. However, I still believe there to be scope for the IAIM to do more to support the remaining claims (or remove if required), although I doubt they will so, or impress upon its members to do the same. This isn't evidence of an attitude change. My attention will now turn to the claim that massage can help "boost" the immune system, which I have seen on several massage instructors' websites. Although I do not have an adjudication against the IAIM to use in any correspondence with these people, I'll be highlighting the fact that the ASA has shown an interest in the industry, the types of claims being made and the fact that the IAIM has had to withdraw some of them. Episode 69 - No Subtitle Required! Copyright John Stabler, Steven Brett & Trevor Williams. Picture Window theme. Theme images by fpm. Powered by Blogger.